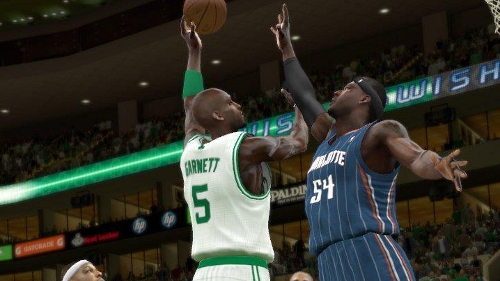 A new patch for NBA 2K12 released today for the PS3 and is expected to arrive soon for the Xbox 360. Attempts to address some of the biggest gripes have been made with reduced success of steals and three-point percentages reduced specifically when challenged by a defender. It’s not a huge patch in terms of number of fixes (and bypasses My Player issues) but if it works as intended it should greatly improve the gameplay experience. EA Sports today released a new gameplay video showing the 2nd FULL quarter of an exhibition game between the Eagles and Falcons at Atlanta in Madden NFL 12. (NOTE: These rosters are not final.) The clip is 10 minutes in length, and shows EA’s focus on presentation & their new camera angles shot by NFL Films. It is the continuation of the video released earlier this week. Check out the video above & feel free to leave comments in the section below. Are you ready for some football? EA Sports today released a new gameplay video showing the first FULL quarter of an exhibition game between the Eagles and Falcons at Atlanta in Madden NFL 12. (NOTE: These rosters are not final.) The clip is 10 minutes in length, and shows EA’s focus on presentation & their new camera angles shot by NFL Films. Check out the video above & feel free to leave comments in the section below. Are you ready for some football?